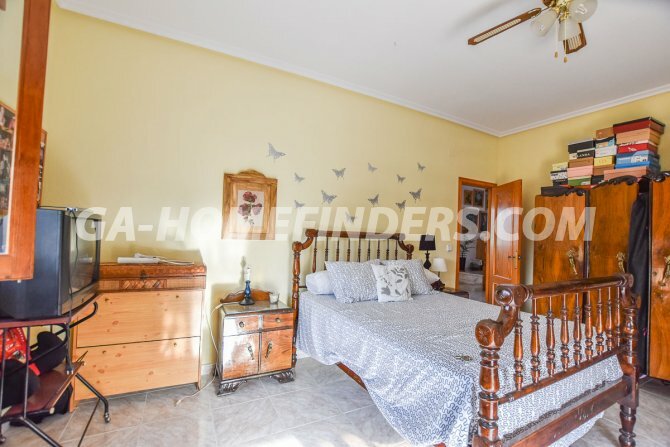 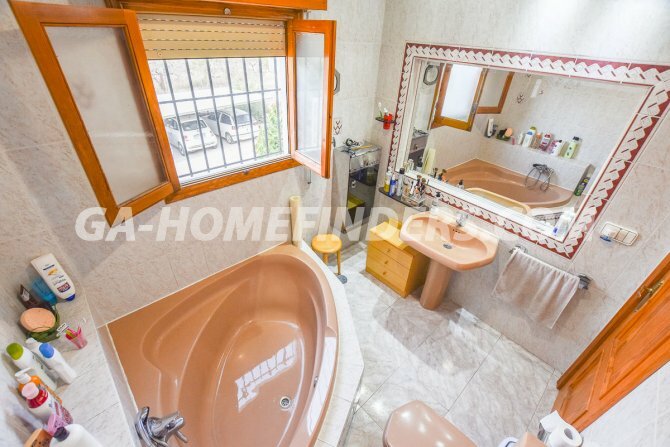 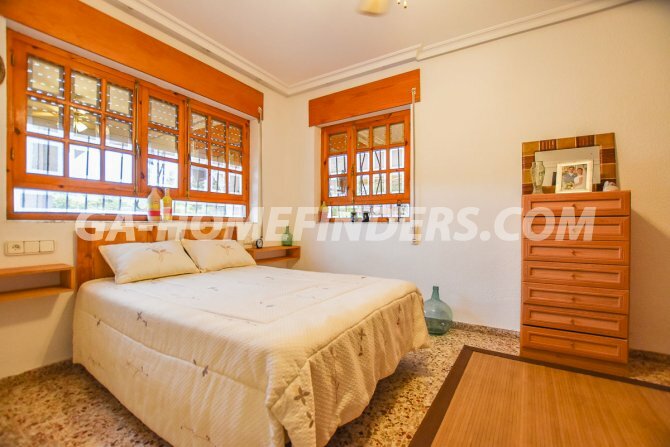 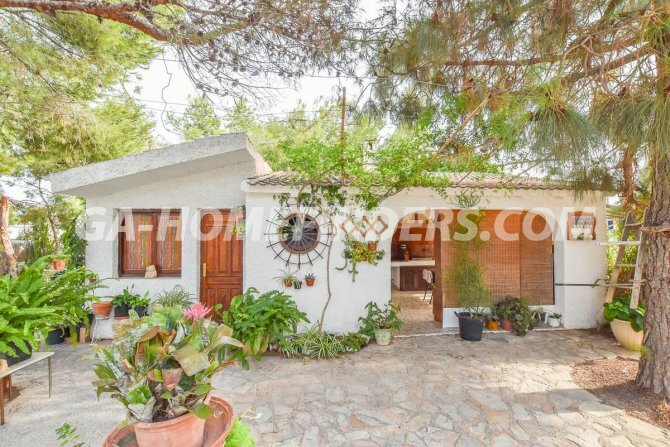 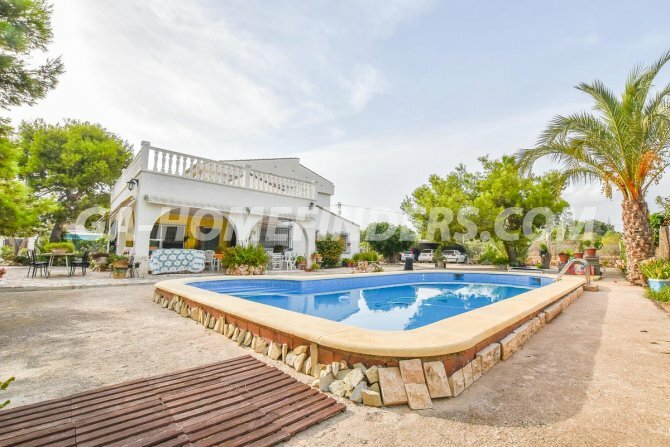 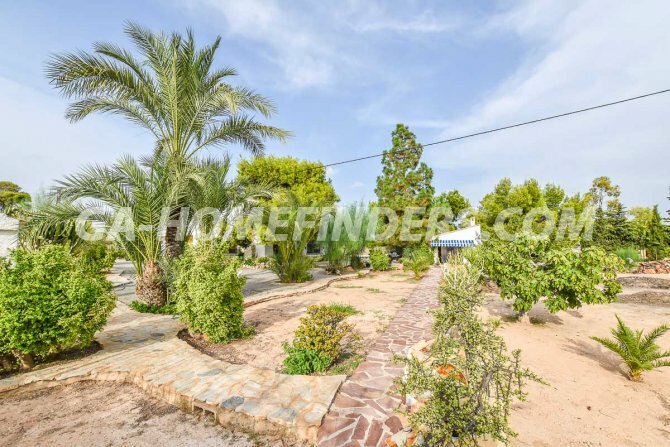 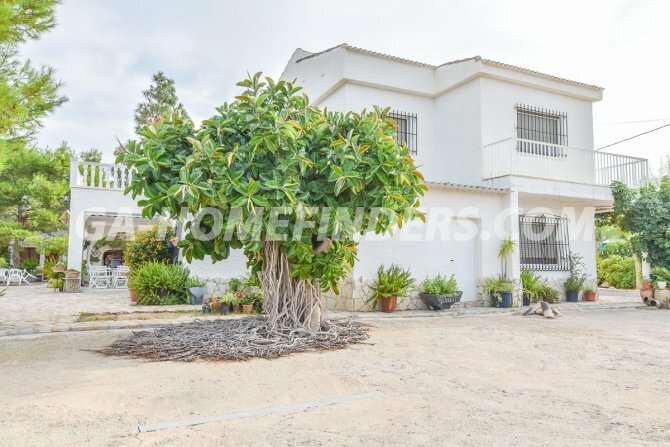 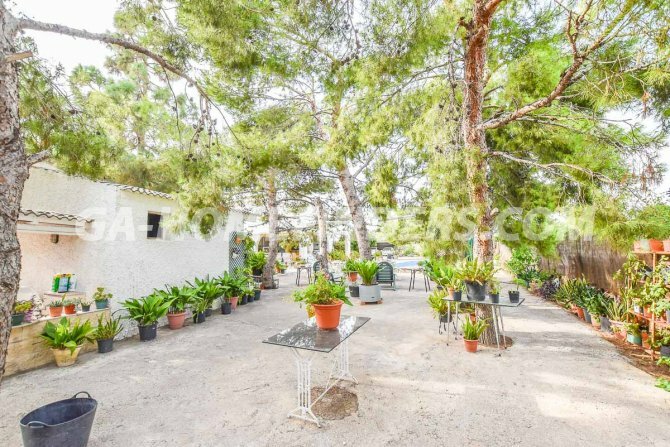 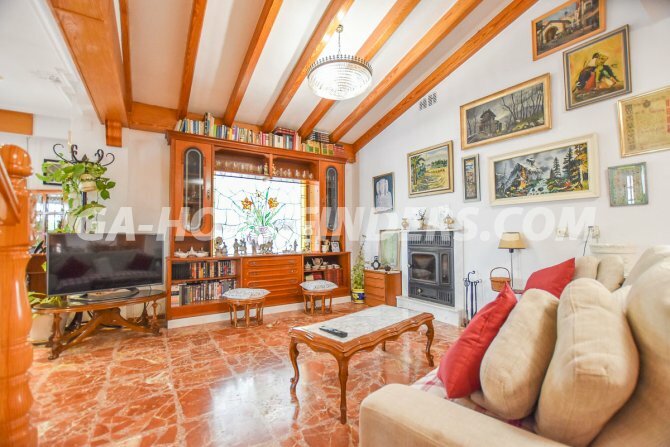 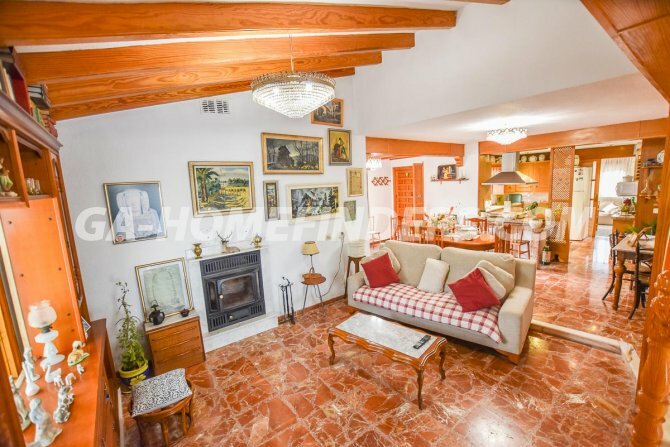 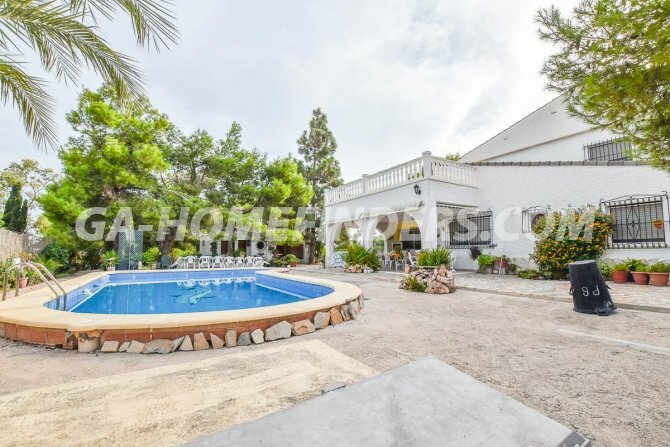 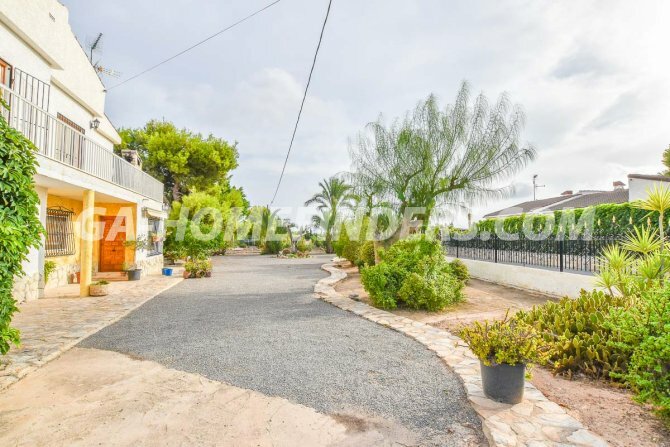 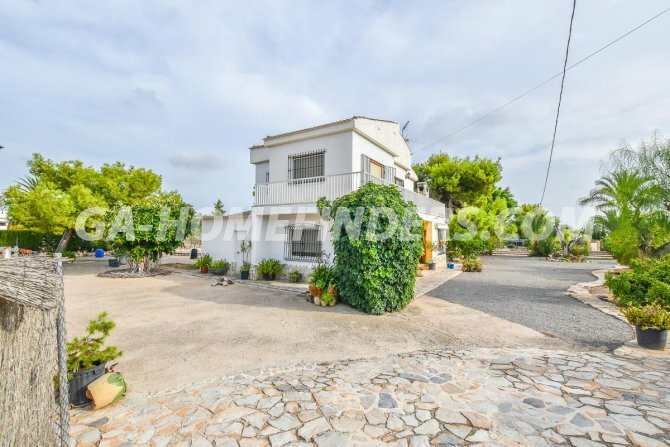 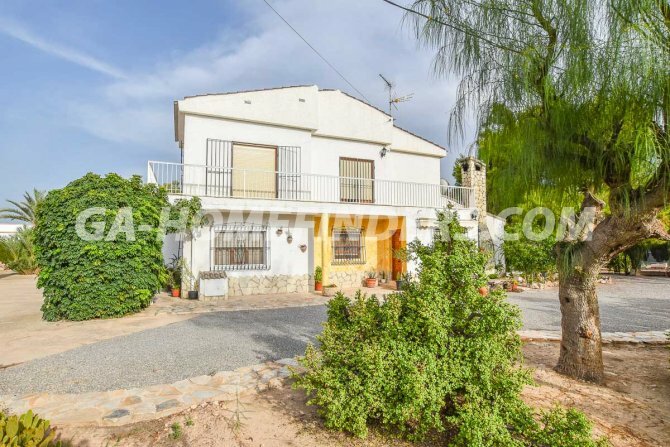 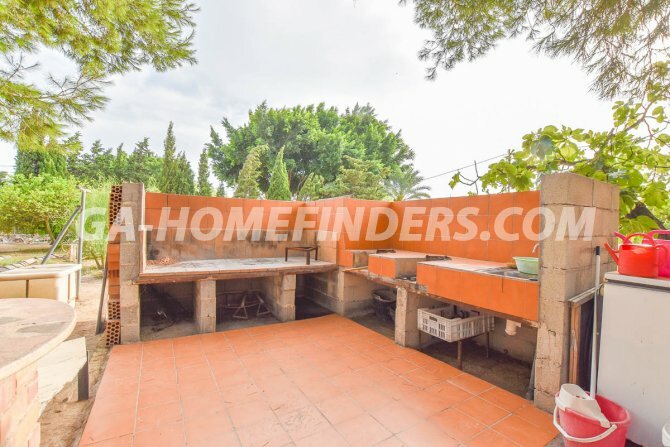 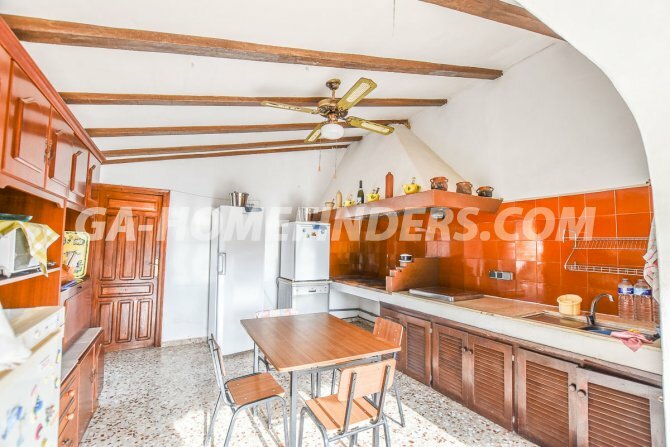 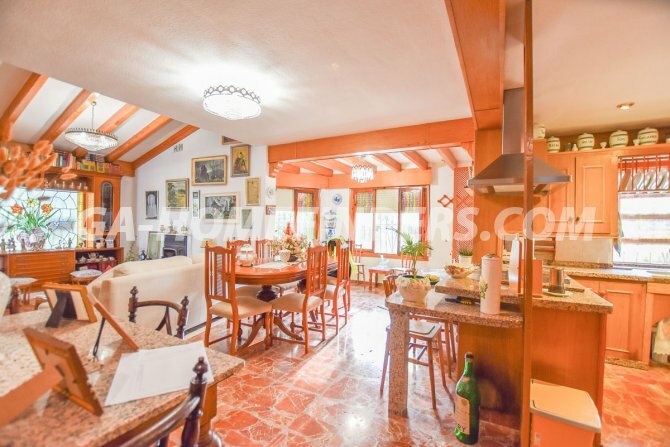 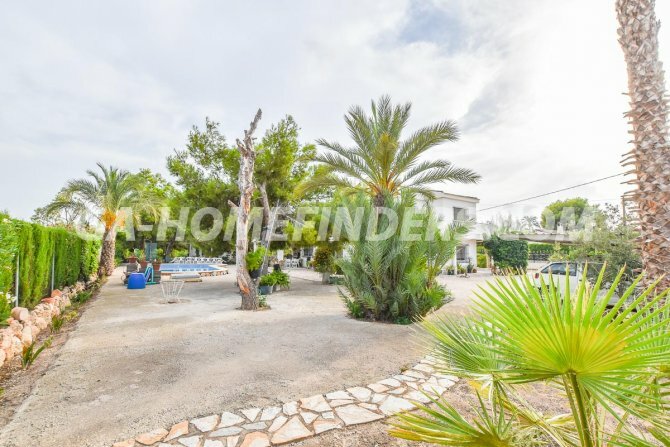 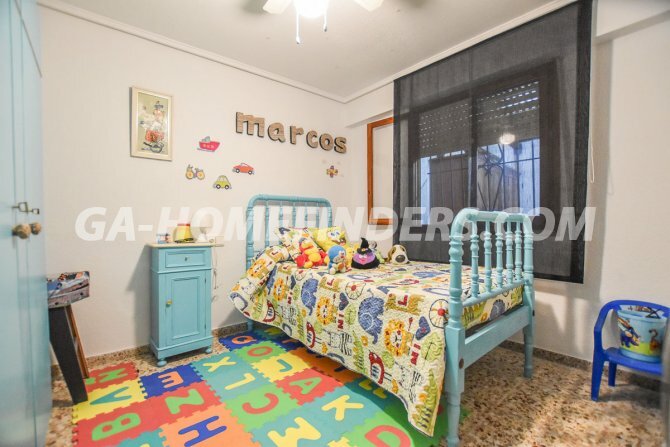 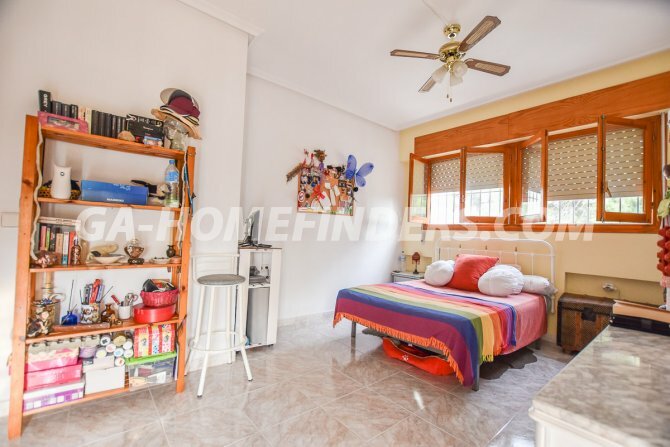 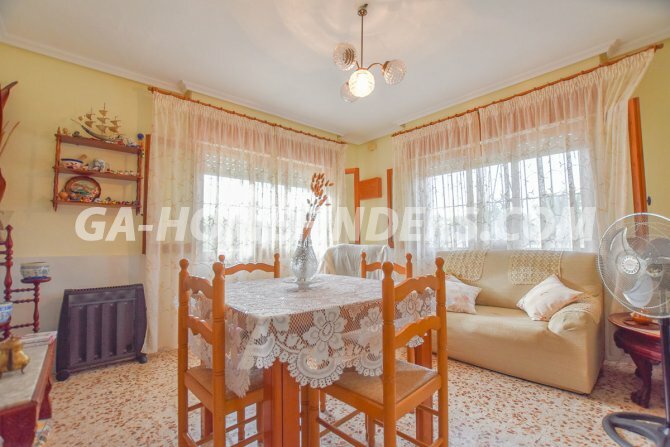 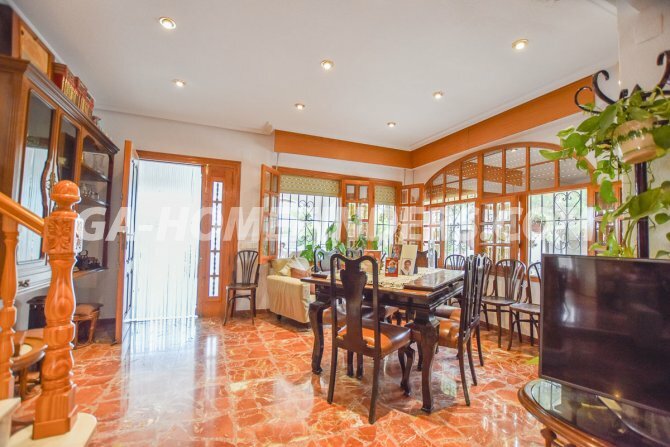 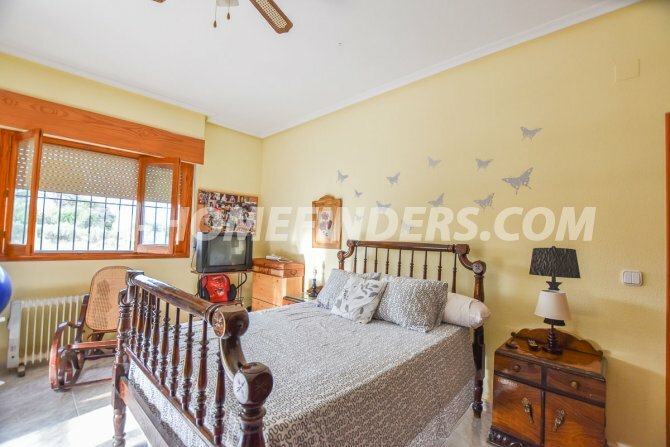 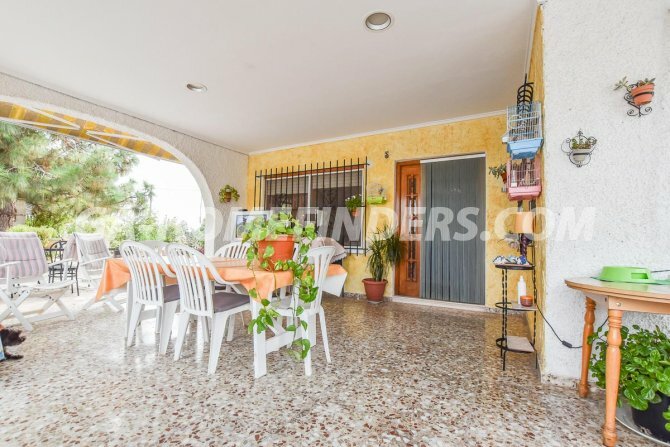 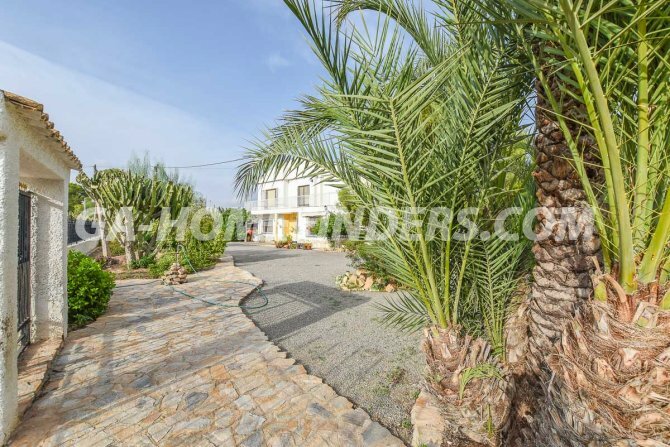 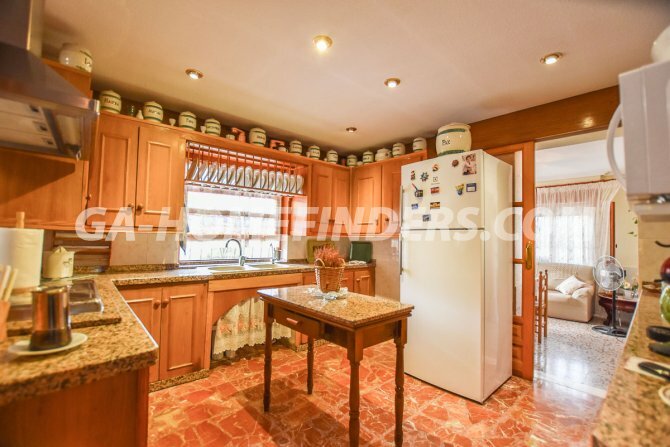 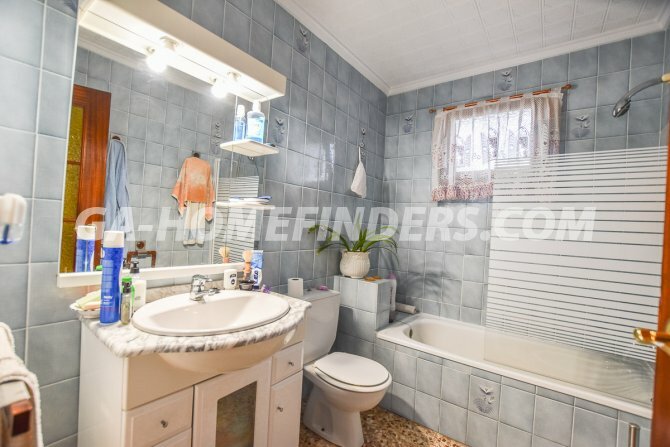 Detached furnished villa, with a plot of 2,800 m2 located in Valverde Alto (Elche), has 5 bedrooms and two bathrooms. 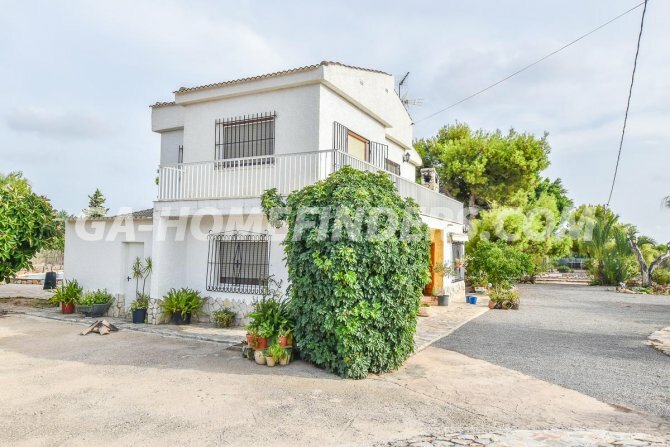 On the ground floor there is a large independent kitchen, living room with fireplace, three bedrooms, a bathroom and a storage room. 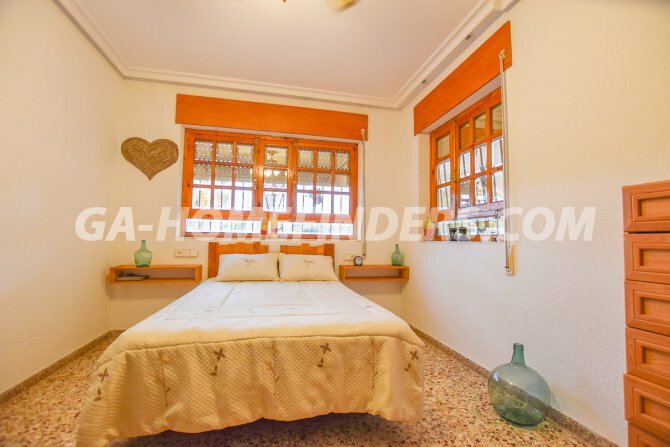 On the first floor there are two bedrooms, a bathroom and a spacious L-shaped balcony, All the windows have security grills and shutters. 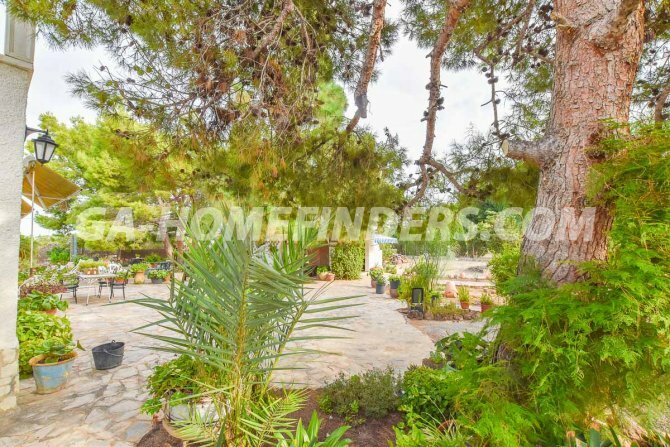 Outside in the garden there are a range of trees, fruit trees, plants, a barbecue area, a large porch which is ideal for al fresco dining, a pool of 8 m x 4 m and a changing area. 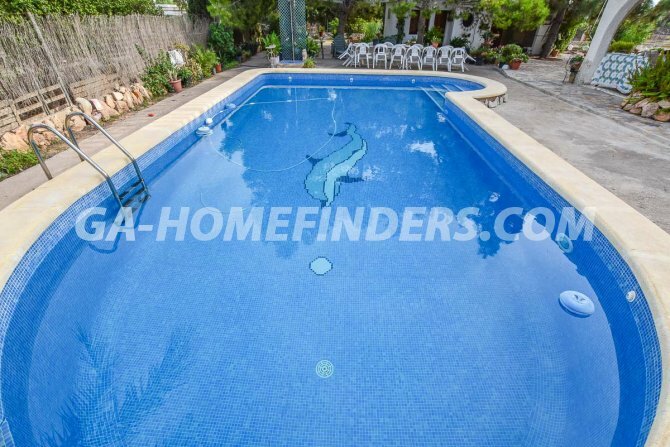 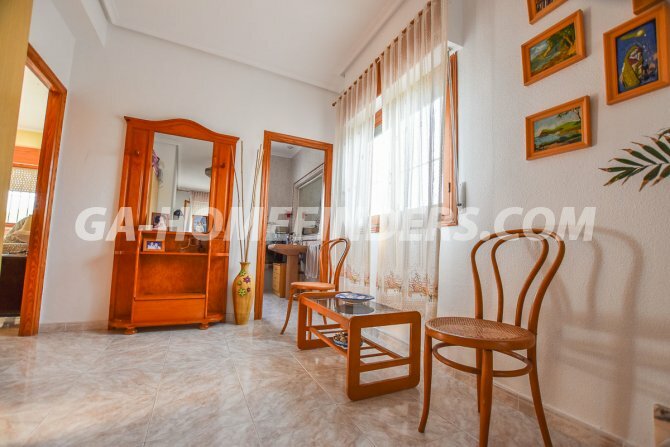 It is located 10 km from the beach of Santa Pola and 5 km from Elche.